Curtis Pools was originally formed in 1976 when Peter Curtis, a sales rep for Whites Portland cement, decided to do his own thing. With no money in the bank, but a vast experience of cementitious products, the firm was formed. Working on a principle of building a swimming pool to suit the client’s needs was a building block for the company, as it exists today. As a top sales rep working for Whites Portland cement, Peter was one of the original people who were instrumental in putting marblite on the South African swimming pool market. He has an integral knowledge of marbelite as is held in high esteem by many of his peers. 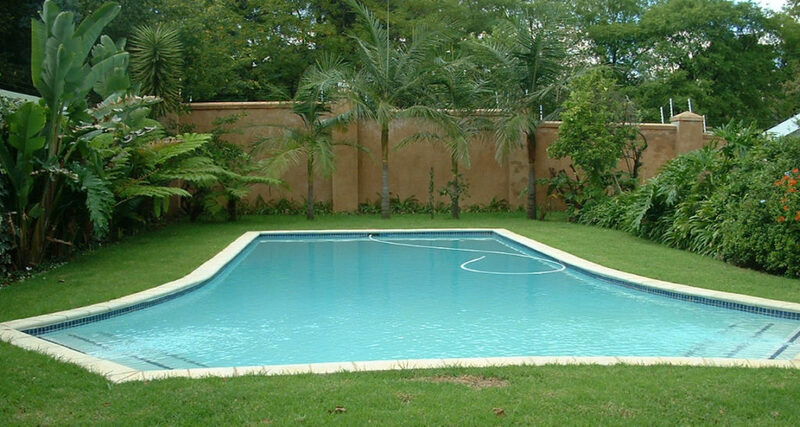 Curtis Pools has an excellent reputation in the industry as a firm that is capable of delivering a high quality product that meets the clients requirements. There are no pre-designed shapes or sizes. The pools are designed in consultation with the client and ourselves and are made to suit the living/ entertainment area. There is also a long track record that backs up all claims. 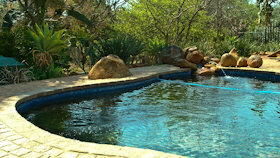 Pools are built from scratch, renovated or even rebuilt to suit the required size. As specialists in the world of guniting, many commercial or industrial jobs have been undertaken. Some include work for the JHB Zoo in upgrading of some of the animal enclosures, the most recent of which are the New Ape and Pygmy Hippo enclosures. Contracts with and for Investec Bank, Murray & Roberts as well as Group 5 have been undertaken, where gunite has been the preferred method to provide strength and flexibility with high water retention capabilities. There are other uses not mentioned such as embankment stabilisation. Curtis Pools are built made by using a gunite shell (basically a spray on concrete) with high strength characteristics and excellent water retention properties. The finish is done in marblite in varying colours as chosen by the client. The paving and mosaics are generally a moulded concrete paver with excellent looks, but can be brick or even natural sandstone depending on the requirements. A family business started by Peter Curtis in 1973 after being the top sales rep for Whites Portland Cement.He was intrinsically involved in selling marblite or pool plaster on the market.Â The original owner and founder of Cemcrete swimmingpool plaster worked together with Peter at Whites on the same team and started their respective businesses in the same year.